Dutch paintings of the 17th century—the Golden Age of Rembrandt, Hals, and Vermeer—have been a highlight of The Metropolitan Museum of Art's collection since the Museum's founding purchase in 1871. Opening October 16, the exhibition In Praise of Painting: Dutch Masterpieces at The Met will bring together some of the Museum's greatest paintings to present this remarkable chapter of art history in a new light. Through roughly 65 works organized thematically, the exhibition will orient visitors to key issues in 17th-century Dutch culture—from debates about religion and conspicuous consumption to painters' fascination with the domestic lives of women. The exhibition will provide a fresh perspective on the canon and parameters of the Dutch Golden Age by uniting paintings from The Met's Benjamin Altman, Robert Lehman, and Jack and Belle Linsky bequests. Works typically displayed separately in the Museum's galleries—such as Rembrandt's Gerard de Lairesse and Lairesse's own Apollo and Aurora—will be presented side by side, producing a visually compelling narrative about the tensions between realism and idealism during this period. The presentation will offer an opportunity to display recently conserved and rarely exhibited works, including Margareta Haverman's A Vase of Flowers—one of only two known paintings by the artist and the only painting by an early modern Dutch woman in the Museum's collection. The exceptional quality of Rembrandt's late self-portrait will be even more evident following the removal of a synthetic varnish dating to the mid-20th century. The title of the exhibition comes from one of the period's major works of art theory, Philips Angel's The Praise of Painting (1642), a pioneering defense of realism in art. Exhibition visitors will also be able to peruse a comprehensive two-volume catalogue by the late Walter Liedtke about The Met's Dutch paintings collection. In Praise of Painting: Dutch Masterpieces at The Met is organized by Adam Eaker, Assistant Curator in The Met's Department of European Paintings. The exhibition will be featured on The Met's website, as well as on Facebook, Instagram, and Twitter using the hashtag #MetDutchMasterpieces. On view concurrently in The Robert Lehman Wing, Celebrating Tintoretto: Portrait Paintings and Studio Drawings will focus on the small-scale, informal portraiture of Venetian painter Jacopo Tintoretto in celebration of the 500th anniversary of his birth. 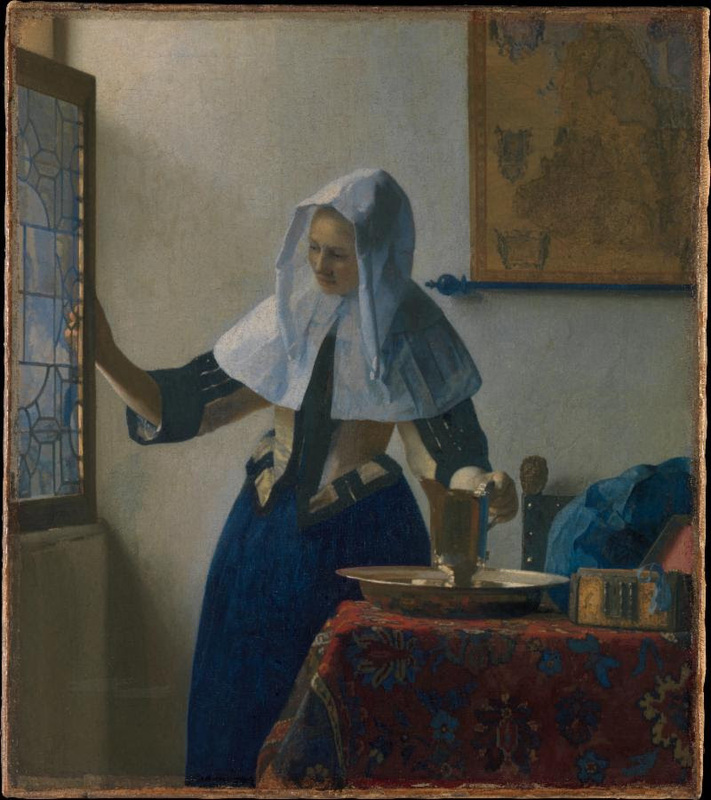 This looks to be a wonderful exhibit as I love Vermeer works and have viewed quite a few in person. For sure a real fall highlight in the museum exhibits coming up! !